Need A Lift? Call Now! Looking for reliable towing at an affordable rate? Call Warren's Towing & Recovery! Trust us to deliver quick, professional service during any vehicle emergency situation. Wherever you are, we will ensure that you get immediate roadside assistance. Our team of experienced truck operators and roadside assistance technicians will come to your rescue in your time of need. 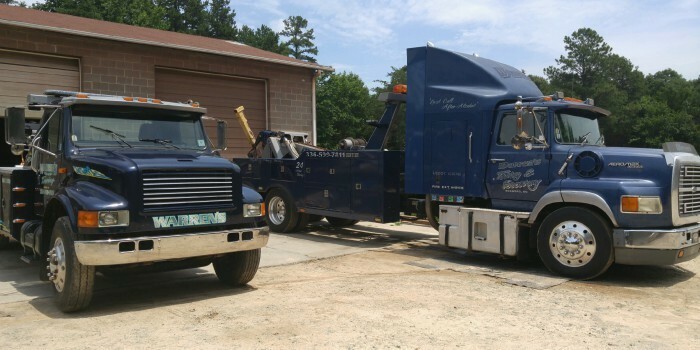 Warren's Towing & Recovery guarantees affordable pricing paired with the expert services of a highly skilled team and the right equipment necessary. When you are in need of exceptional, reliable roadside assistance and expert towing, do not hesitate to call Warren's Towing & Recovery today! Extremely professional and good people. Will be my go to towing service from now on. Thank you for the stress free experience and positive attitude. Copyright ©2019 Warren's Towing & Recovery. All Rights Reserved.